State laws and local ordinances prohibit Florida motorists from possessing open containers of alcohol in their vehicles or consuming alcohol in the vehicle. There are also restrictions when it comes to consuming alcohol in public. Broward, Miami-Dade and Palm Beach Counties all have their own local ordinance pertaining to open containers of alcohol in motor vehicles. All motorists are additionally subject to the state law. 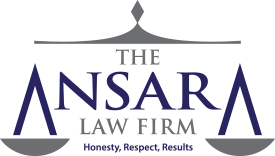 At The Ansara Law Firm, our traffic ticket defense attorneys in Fort Lauderdale know there are numerous exceptions to these open container regulations, and fighting the ticket is often worth your while. A criminal defense attorney can often help you minimize these penalties, in some cases even succeeding in getting the ticket dismissed. The Florida open container law is codified in F.S. 316.1936. The seal of which has been broken. It should be noted a bottle of wine that has been resealed isn’t considered an open container, so long as it is transported pursuant to F.S. 564.09. This pertains to bottles of wine sold by a restaurant to a patron who has purchased a full course meal (salad/ vegetable, entre, beverage and bread consumed with the wine). If the wine was only partially consumed, it can be removed and transported as long as it is resealed and placed in a bag or container and placed in either a locked glove compartment, locked trunk or behind the last upright seat in vehicles that don’t have a trunk. It’s legal to buy alcohol and then take it home – sealed – but if the drink is open and in your cupholder, passenger seat or in your hands, it’s considered a violation of law. Consume alcohol while operating a vehicle. The statute also applies to anyone who is seated IN or ON a motor vehicle that is parked or stopped within a road. Passengers of a vehicle in which driver is operating a vehicle pursuant to a contract to provide transportation for passengers where the driver has a valid commercial driver license with a passenger endorsement. Passengers of a bus wherein the driver holds a valid commercial driver’s license with a passenger endorsement. Passengers in self-contained motor homes larger than 21 feet in length. Broward, Palm Beach and Miami-Dade all have their own ordinances pertaining to open containers of alcohol. Passenger in a vehicle with a passenger capacity of more than 8 that is regularly engaged in the business of providing passenger transportation and compensation and is operated by a person for compensation. Miami-Dade Code of Ordinances § 30-1210.1 prohibits consumption of alcohol or possession of open containers of alcohol in motor vehicles, unless one is a passenger in a bus or vehicle operated by a “duly licensed chauffeur” in the course of a business. It also doesn’t pertain to open containers in a refrigerator in the living area of a house trailer. Palm Beach County Code of Ordinances § 3.3 prohibits possession of an unsealed container of alcohol in a motor vehicle that is operated on a public or semipublic area open for vehicular travel. It also prohibits consuming alcohol in the same areas. If doesn’t pertain to persons picking up empty containers to sell, those engaged in litter control, licensed distributors (provided the drinks are transported solely for commercial purposes), the transportation of any beverage that is in a locked compartment not accessible to driver or passengers, passengers of limos/ charter buses/ taxis, etc. The state law specifically allows counties to adopt ordinances with more stringent restrictions than are laid out by Florida statute. A violation of state law is considered a non-criminal moving violation (if by the driver) or a nonmoving traffic violation (if by a passenger). Our experienced Fort Lauderdale ticket defense lawyers can help you fight this charge.